The next significant update to the gaming console's interface brings in some much-needed features. While the Xbox 360 is a pretty strong gaming console, it has languished for a while in the shadow of Sony's PS3. With the introduction of the new line of X360s though, Microsoft has done some superb catching up. Now, there's a new Xbox LIVE update on the horizon, and it brings with it a bunch of goodies. Let's take a look at what it has in store for us, thanks to the public beta currently underway. 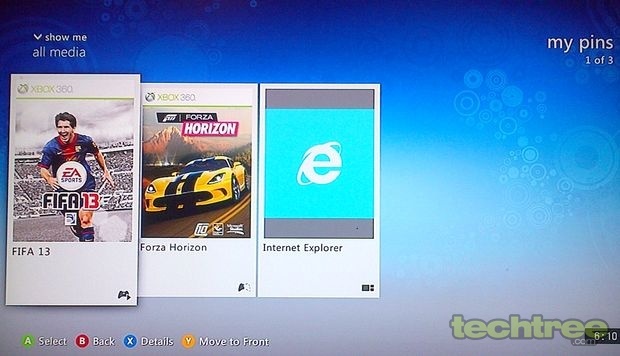 The biggest feature you'll see in the new LIVE interface, apart of course from the Metro theme that brings it line with the Windows 8 and Windows Phone 8 UIs, is Internet Explorer for Xbox. Yes, I know what you're thinking — it's IE, and thus bound to fail. Well, you know what? Not so much this time. I checked out a couple of videos on YouTube, and the browser ran flawlessly. I went on to check my Facebook account, and was able to use the full functionality, including chat. In fact, when I simultaneously logged into the same account through my laptop and chatted with a friend, the conversation window in the X360 was also updated in real time. 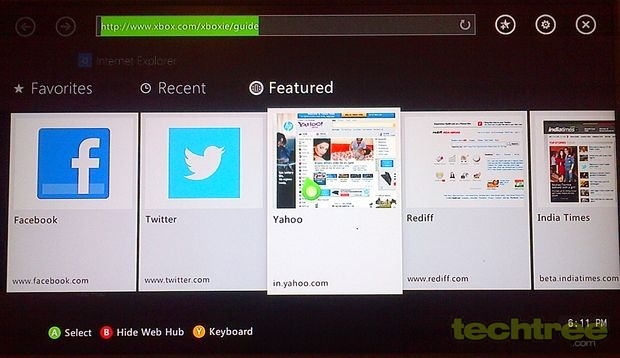 The web hub on Xbox's IE looks neat and tidy, quite unlike my room. The only drawback using a browser on the console is that I felt like the 60-year-old lady who mans the check-in counter at Air India, laboriously typing one letter at a time. However, with the Kinect's voice control and upcoming SmartGlass compatibility, this won't be an issue for long. When SmartGlass launches later this year, you'll be able to use your phone or tablet to control the browser. Until then, you can always make use of the mini-keyboard accessory for the controller. Apart from IE, the update comes with a few minor fixes too. An all-new rating system recommends games based on ones you already own or have checked out at the Marketplace, or titles that your friends have shown interest in. You can also see how each title was rated by members of the Xbox LIVE community, as well as rate them yourself. There's also a minor dashboard update, with a new tile for "pinning" added to it. This allows you to literally "pin" your favourite content to the dashboard, including games, videos, websites, and apps. 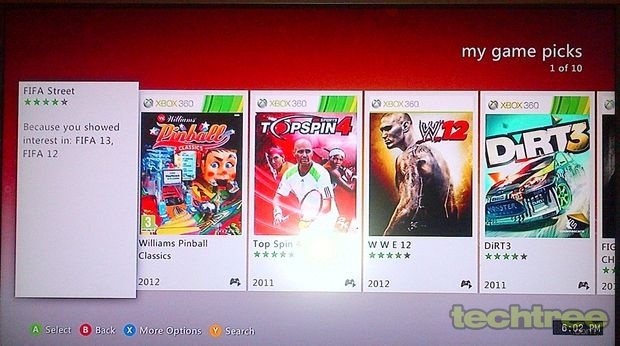 Xbox LIVE now recommends games according to titles you've played earlier. I have no idea why pinball is there, though. The search feature has been improved as well, with the inclusion of category search. Apart from having the option to control search through your voice, you can now search for content categories. This means if you just search for a game or movie genre, Bing search will list all the titles it can find under that category. For example, searching for "comedy" will show you movie titles like 21 Jump Street, American Pie, and each and every Ramgopal Verma movie. No, really. Overall, while this certainly cannot be described as a "major upgrade", the new LIVE interface does bring with it some much-needed features. It increases the functionality of the X360 slightly, making it that much more competitive against the PS3. The new interface is expected to launch on 6th December, so you can expect a more comprehensive review then. my pins is a great way to bring all your favourites in one place.